These Energized Semiprecious Black Tourmaline cleanses, purifies, and transforms dense energy into a lighter vibration. Use Black Tourmaline to help with electromagnetic smog and increase physical vitality. Black Tourmaline is a fantastic stone for grounding and protection from spiritual fear , phobia and aids in opening up the Root Chakra. Physically, Black Tourmaline is a purifying and detoxifying stone, helpful in cleansing the body. 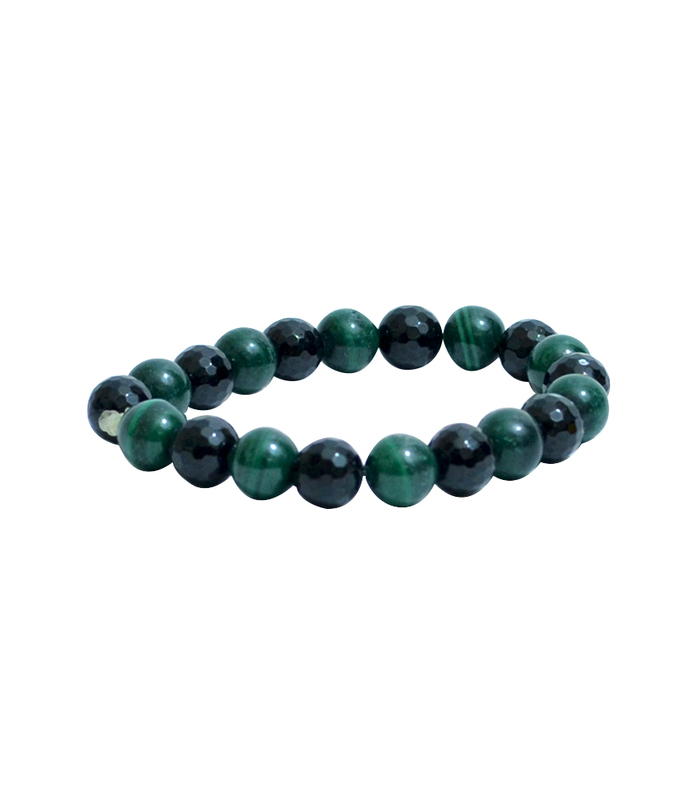 Malachite absorbs energy, draws emotions to the surface, and clears and activates the chakras. An extremely powerful metaphysical stone, Malachite is called the "stone of transformation" and is used for deep energy cleaning, amplifies energies in positive . Said by some to be one of the most important healing stones, Malachite helps the user acknowledge, draw out, and discharge negative energy, including old emotional patterns, past traumas, and suppressed feelings. Malachite's ability to draw out negative energy can assist in discovering the energy blocks and patterns that may be causing physical disease. Highly protective, Malachite absorbs pollution and shields against radioactivity. Physically, Malachite can be useful in easing menstrual cramps and childbirth. It can also ease sinus, inflammation, broken bones, rheumatism, asthma and insomnia. Disclaimer: These Semi Precious stone/Beads are believed to bring about all the good things. We do not guarntee its success and are not responsible for any claims. Any person with a conditions requiring medical attension should consult a qualified practitioner or therapist. Product colour may slightly vary due to photographic lighting sources or your Screen settings.